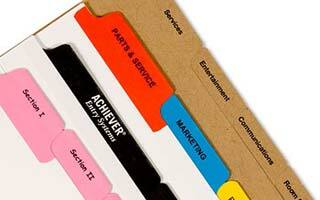 Use Padfolios or Pad Holders as part of your marketing suite or as a stand alone product. Great for meetings, conferences, client gifts, or coprorate image products. Padfolios are a value added giveaway. How do I customize? Simply fill out the info on the form to the right and we will get you a quote. If at any point, you wish to speak with a live person, simply call and speak with someone who is guaranteed to have at leas 20 years industry experience. *You may choose multiple quantities for quotation. If you have a quantity not listed that is more than 50 binders, please place below in comments.